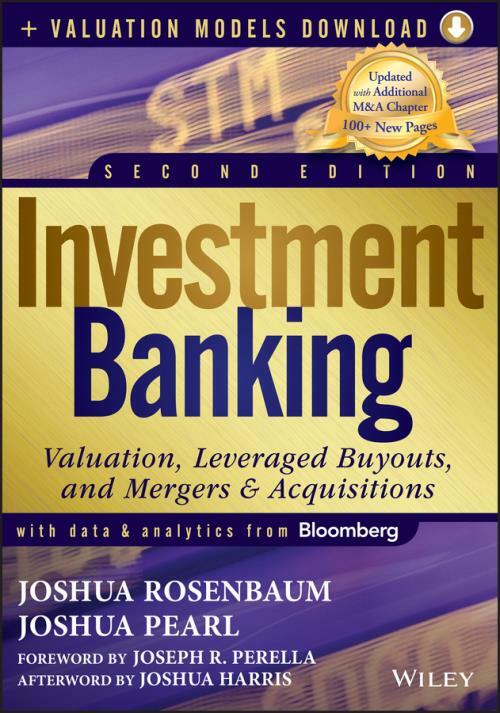 "Investment Banking provides a highly practical and relevant guide to the valuation analysis at the core of investment banking, private equity, and corporate finance. Mastery of these essential skills is fundamental for any role in transaction–related finance. This book will become a fixture on every finance professional′s bookshelf." "The two Joshes present corporate finance in a broad, yet detailed framework for understanding valuation, balance sheets, and business combinations. As such, their book is an essential resource for understanding complex businesses and capital structures whether you are on the buy–side or sell–side."